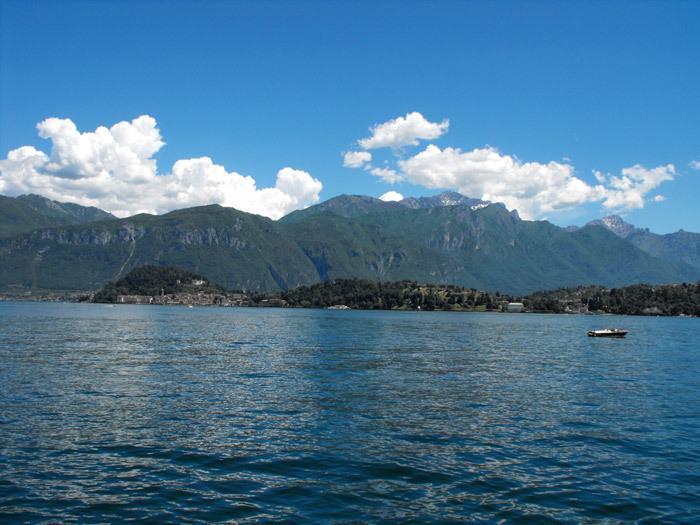 Bellagio is Lario's central headland cape of Lario, by far one of the most beautiful tourist places, not only of lake Como, but of the entire world. 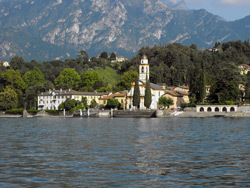 Its beauty has been praised, since the 16th century, by Italian and foreign visitors. 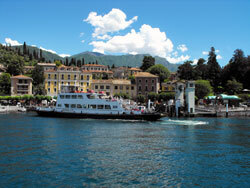 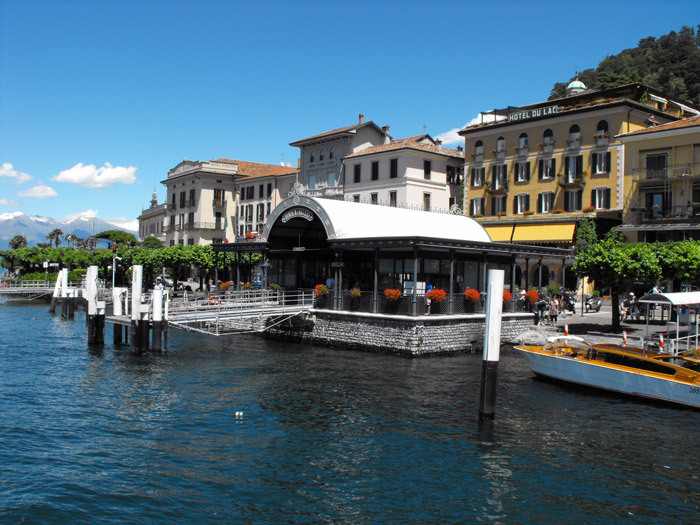 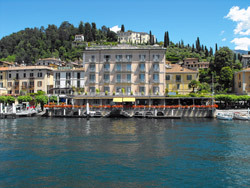 Bellagio's charm is first and foremost panoramic, because from here is embraced with a glance, the better part of Lario. Add to that the splendid villas, the profuse lushness of the trees and flowers, the picturesque staircases, the variety of walks and paths, and you can understand how Bellagio merits the title the Pearl of Lake Como. 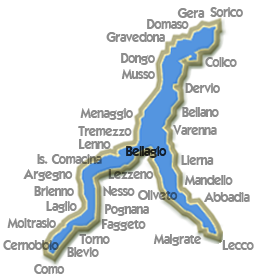 Bellagio was already inhabited back in the prehistoric age, a fortified village during the Middle Ages, free city during the ten year war, sided against Como, it was possessed by the Visconti and then by Marchesino Stanga and the Sfondrati. 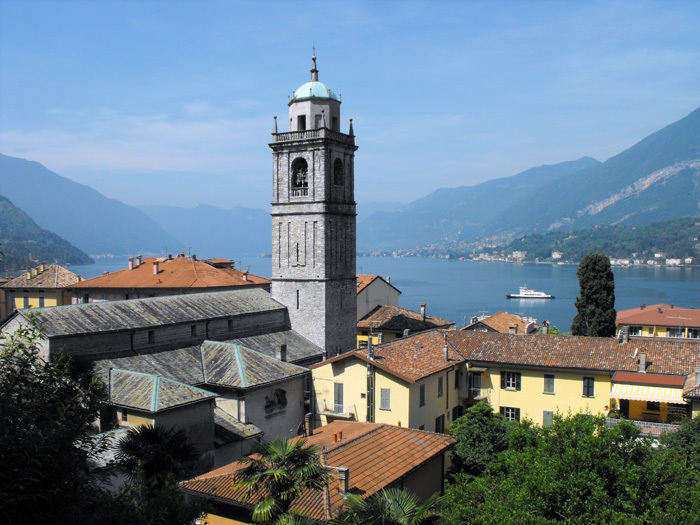 Of a Romanesque foundation is the Parrocchiale di San Giacomo (St. James Parish), interior to which are the renowned works: Deposizione di Gesù, by il Perugino, Madonna delle Grazie by Vincenzo Foppa and a Romanesque crucifix. 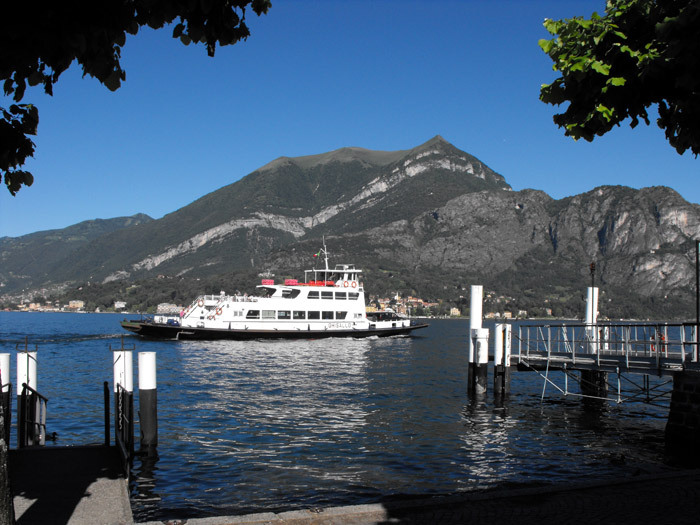 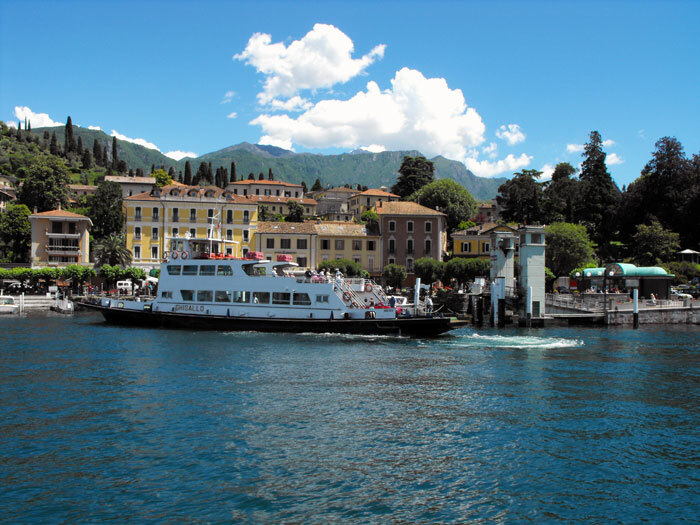 Water transportation is very organized with the battelli (ferry boats) for reaching the towns along the opposite shores of the lake. 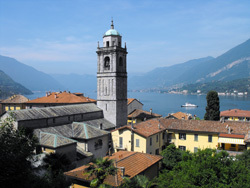 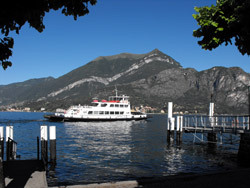 Bellagio is an optimal starting point for various promenades along the lake Como shore, as well as for the paths which connect the villages of Suira, Visgnola, Vergonese and Pescallo. 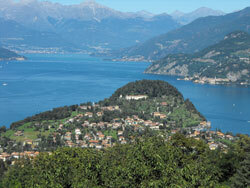 On of the most noted destinations is the Parco del Monte San Primo (Mt. 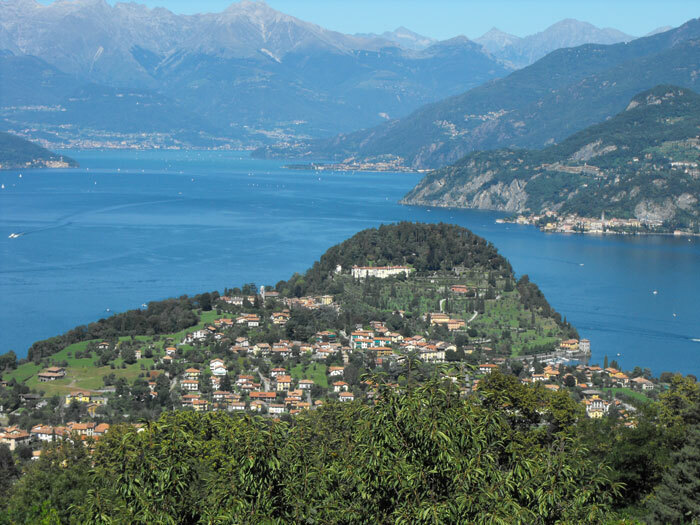 San Primo Park) which is around 14 km from Bellagio, nearby is Ghisallo where we find the Santuario (Sanctuary) and the Museo del ciclismo (Cycling Museum). 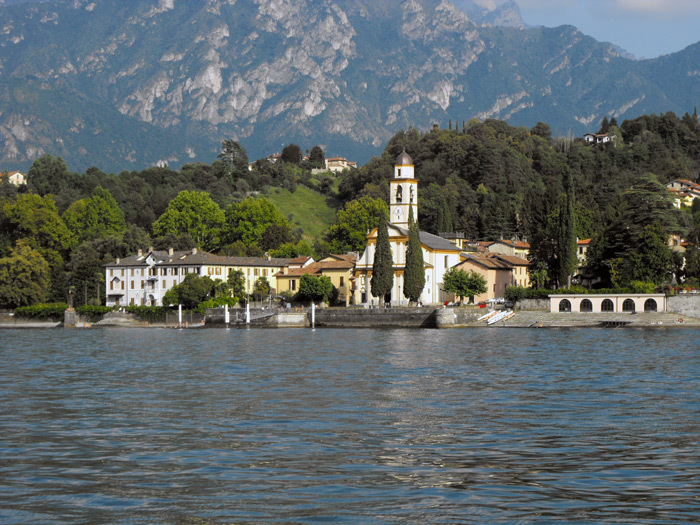 Many are Bellagio's villas (besides Villa Melzi and Villa Serbelloni) which are worth mentioning: Villa Giulia, the Taverna-Trivulzio-Gerli (1700) with its very antique Romanesque church St. Maria di Loppia (St. Mary of Loppia), the Trotti-Gerli (1751), the Buttafava-Marchesini and the Belmonte.